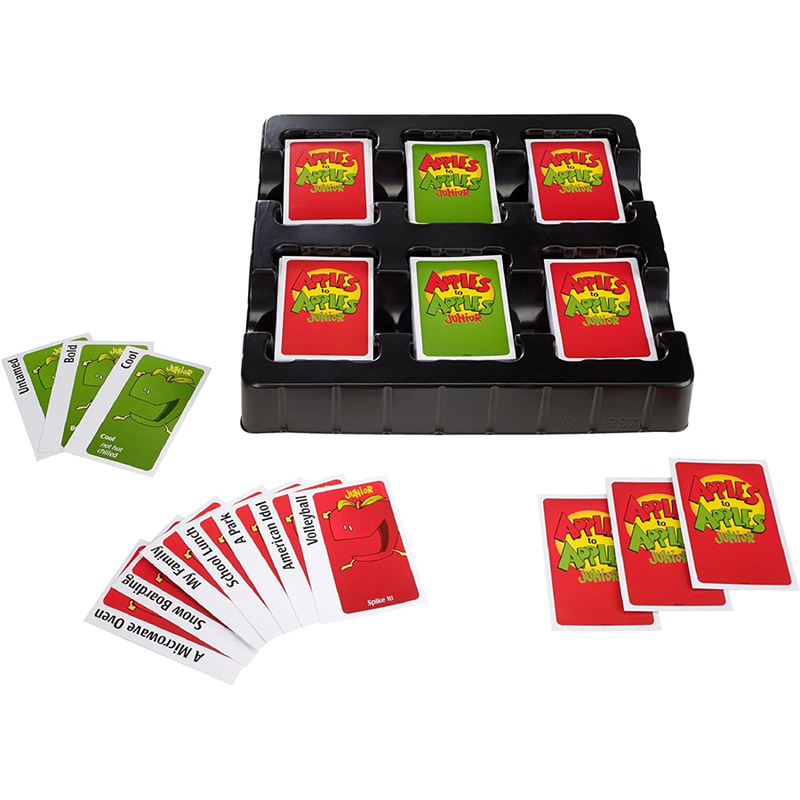 With this junior version of the popular card and party game, children will have hilarious, fast-paced fun. Players will have a blast making crazy comparisons while expanding their vocabulary and thinking skills at the same time. 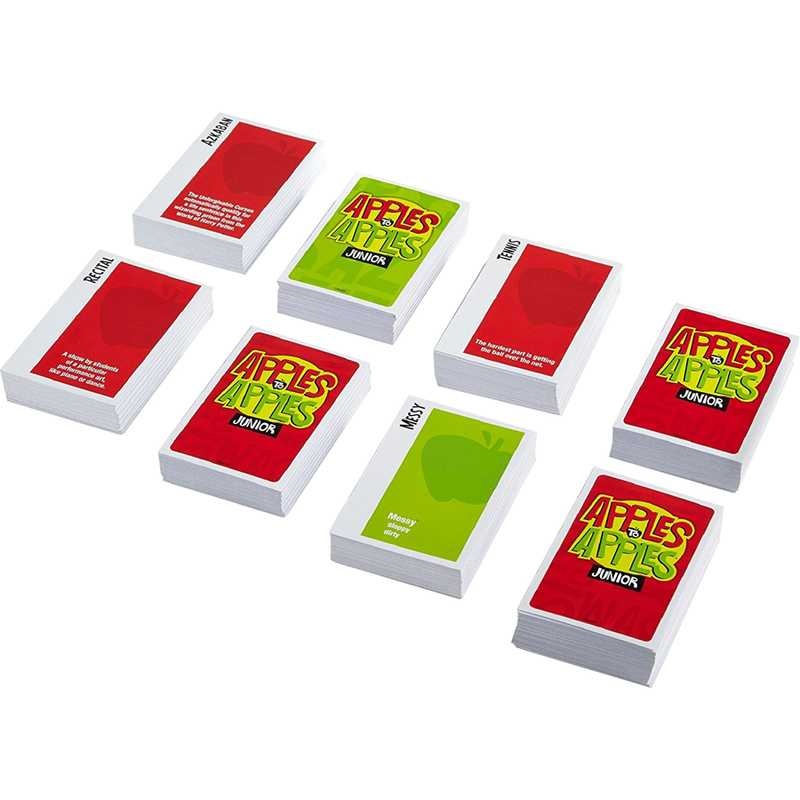 The 576 unique cards ensure maximum inventiveness so each round is filled with surprising comparisons from a wide range of people, places, things and events. 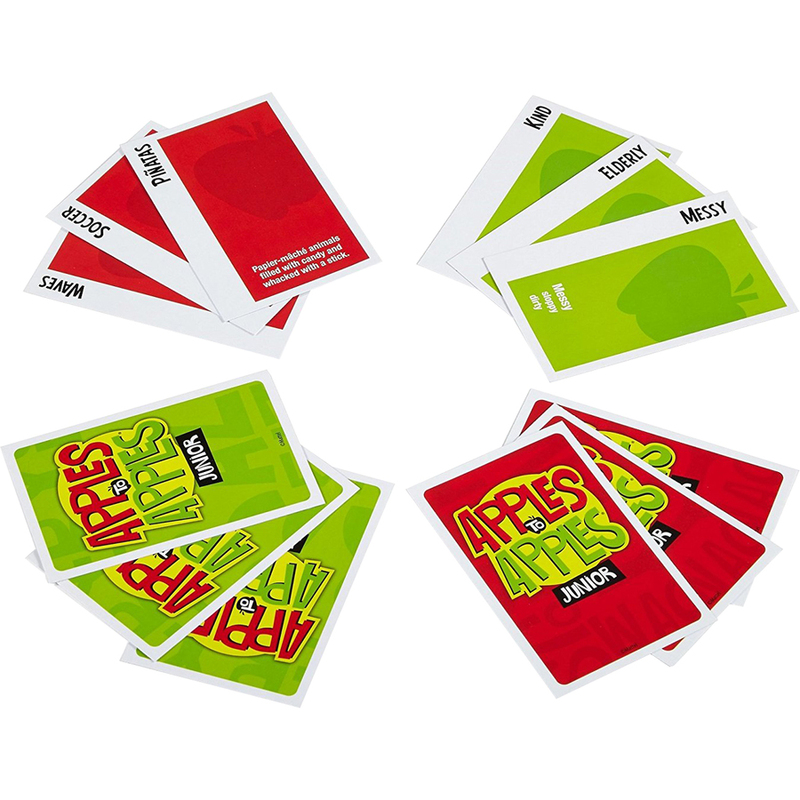 Apples to Apples Junior is easy to learn, easy to play and perfect for hours and hours of entertainment. 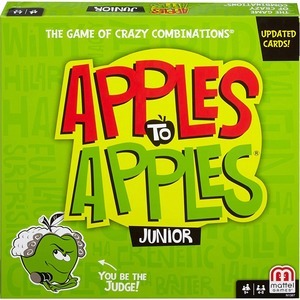 Game requires 4 to 10 players and is designed for children ages 9 and above.